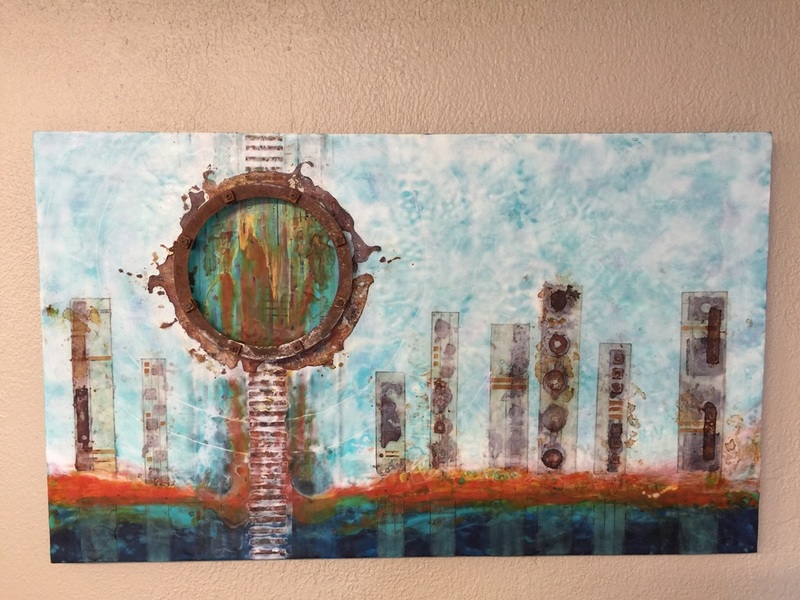 Pam Nichols shared her favorite scrapyard in Redmond, Oregon with me and another artist. Days after I returned from my Europe trip, I drove to Portland then continued on to central Oregon with Pam and Jeanne. But first we had to tour Pam's rustarium and studio in Portland. 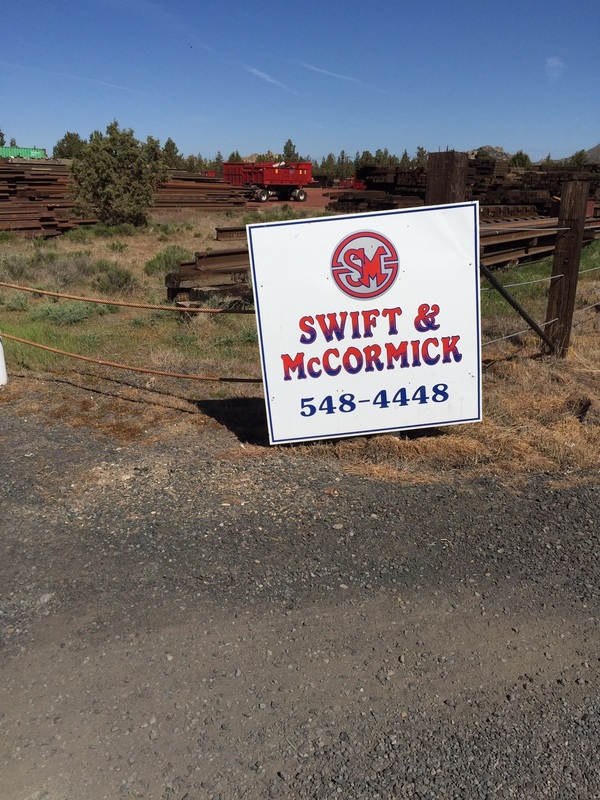 We spent 1 1/2 days picking at Swift and McCormick. It was amazing and I could have picked for a week and not been satisfied. The price? A whopping 30 cents a pound. 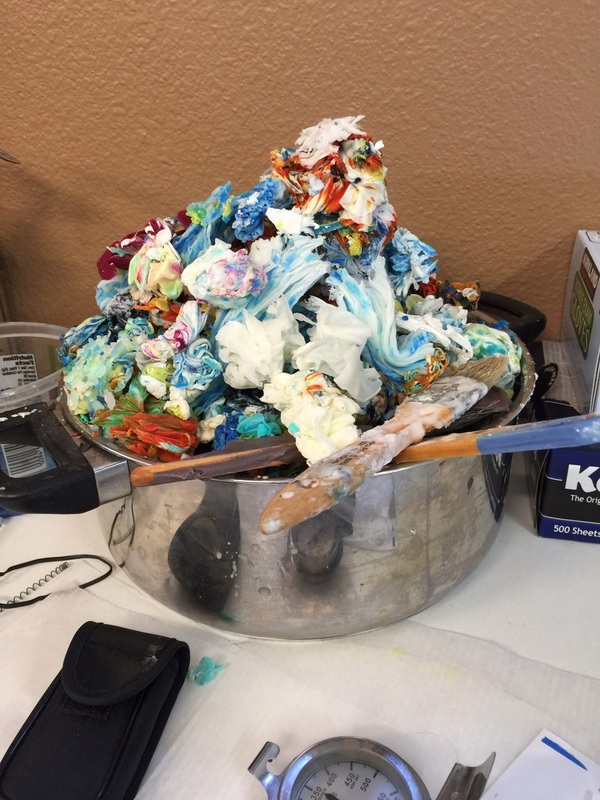 The primary reason we were picking rust was to gather items for our Dyeing To Rust encaustic workshops Mary 29-31, and July 17-19. We have room for two in each workshop. Use the contact form at the bottom of this post if you are interested in joining us. You can read more about the workshop at Bellissima Art Escapes. We spent the evenings in Bend, attending the Artist Walk Friday, and visiting some of Pam's artist friends on Saturday. The mountains were beautiful while we were there and Pam told me how many of them she has climbed. I was impressed. It was a delightful weekend.